Sarah Vanden Broek (shown on a training run in Manhattan) barely made it into the Boston field. They’re the small but special group of runners at every Boston Marathon that ride the razor’s edge of the qualifying time without ever knowing it. They’re the runners who wake up at 4 a.m., battle through harsh conditions, and train to get into the most iconic marathon in the world. But their qualifying times are what make them unique. Each year, the Boston Athletic Association is flooded with qualifiers for the Boston Marathon, too many to accommodate. So the BAA uses a system that lets the fastest in first. This year, the BAA received 30,458 applications and had to turn away 7,384. In order to participate, runners had to clock in 4 minutes 52 seconds faster than the qualifying standard for their age group. 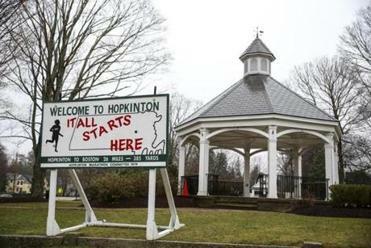 The 123rd edition of the race, from Hopkinton to Boston, is scheduled for April 15, Here are all the details. “When I got the e-mail that I made it, I was just totally elated and shocked. Then once I realized that I made it exactly, I was just really grateful. I could have very easily missed it by just going one second slower,” said Megan Clinton of St. Paul, Minn.
Clinton was one of 22 runners to hit the cutoff right on the nose. Let’s meet some of them. Sarah Vanden Broek doesn’t usually have the Twitter app on her phone, but in this case, it was necessary. While she was in Belgium for her wedding last year, she couldn’t stop checking the BAA’s Twitter feed. She was watching runner after runner share updates that they had gotten into the marathon. “My husband is Belgian and we had planned an extended wedding celebration in his hometown,” she said. “So on the day the BAA was announcing, I was sightseeing with my family and just glued to my phone. The more she scrolled through the thread, the more detailed the posts got. She noticed that people were starting to post not only that they had gotten in but also how much their qualifying time was under the cutoff. She started doing the math. She was confident in the 3:30:08 she ran at the 2017 Chicago Marathon, but that didn’t ease her nerves. “It was getting closer and closer to where I was, which was 4:52 under,” she said. She was sitting on the couch with her husband and mother-in-law, her family had gone back to their hotel, it was beyond late, and the e-mail arrived. Then she went to Twitter to share her news and saw that her time was the exact cutoff. “I learned about the cutoff within 30 seconds of finding out that I got in,” she said. “It was fine because I got in,” she said. In those moments without the phone, it hit her. “I started thinking about what a difference one second could make,” she said. But strategizing is Vanden Broek’s strong suit. “I knew how it worked,” she said. “I knew when I went to Chicago, right before the race, I knew I had to run way under a 3:35. It’s no stretch to say that Vanden Broek was sweating it out. Vanden Broek was a sprinter in college, but marathons are a different test. She essentially was in pain most of the Chicago race, but whenever she looked into the crowd, she saw signs — a Boston jacket or the unicorn flag — and kept pushing herself. She’s already coming up with a game plan for Monday’s race. The numbers are rolling through her head again. 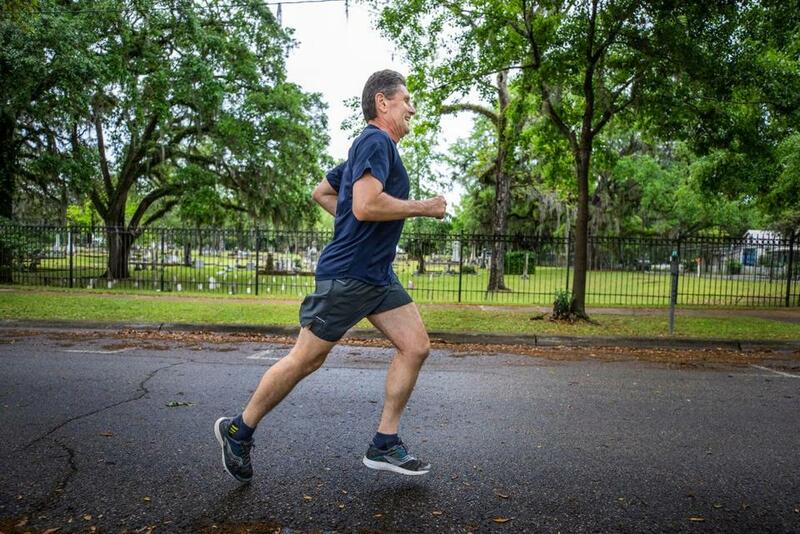 Robert Asztalos trains in Tallahassee. Robert Asztalos remembers a saying he used to hear at the Naval Academy. Each year, there’s someone at the top of the graduating class and someone at the bottom. The person at the bottom is called an anchor. After they graduate? They’re called an ensign, like everyone else. It’s even funnier to him when he thinks about his road to the Boston Marathon this year. Asztalos has run 20 marathons. His first was the Marine Corps Marathon in Washington in 1993. In 2017, he ran the Soldier Marathon in Tallahassee, Fla., and clocked in at 3:50:08. Then the quirkiest thing happened. Between the time he ran in Tallahassee and the time the BAA announced the cutoff, Asztalos turned 60. What a difference that year made, because it put him into a different age group. With so many marathons under his belt, he wears it with pride. Robert Asztalos is the chief lobbyist for the Florida Health Care Association. The last time Laurel Osmond was in Boston for the marathon was 2013, the year of the bombings. Just before she turned 30, she decided that she needed to do something big. 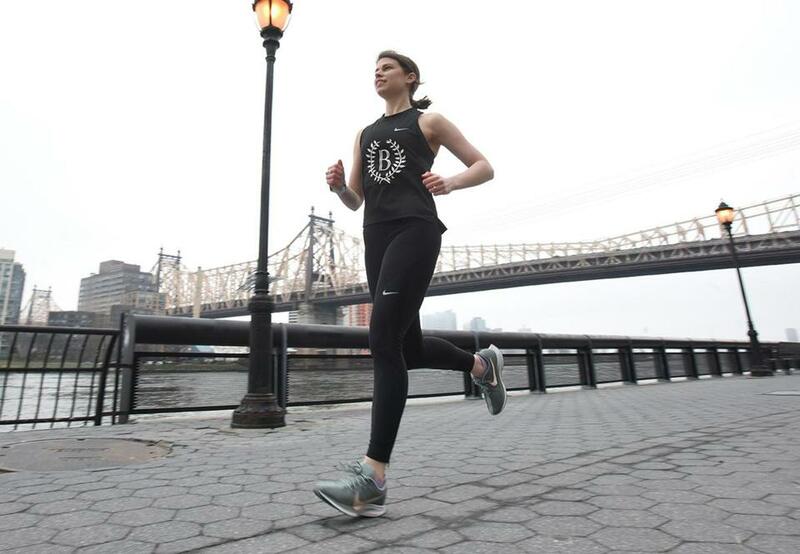 She had run half-marathons, but she wanted to set her sights higher. Initially the thought of running 26.2 miles was a one-and-done proposition. But when she gave it a shot in Washington, D.C., she caught the bug. “When I got done with that race, I was like, ‘I can run this faster,’ ” she said. At that point, the Boston Marathon made sense. “It’s kind of the holy grail of running,” she said. She made the trip from Wisconsin with her family. Then an act of terror struck. Osmond was about two blocks away when the bombs exploded at the finish line. He husband was one block away with their children. “When I was running, I was like, ‘This is an amazing experience,’ ” she said. “Having the rest of that happen — and I have to say that my family and I were super-blessed because there were a lot of miracles that happened to us that day that made it so we weren’t right there and I’m sure a lot of people have similar stories. She made it her goal to come back, knowing how difficult it would be. When she qualified in 2013, she made the cut by 18 seconds. “So I’m kind of used to being on the cusp,” she said. This time, she ran the 2017 St. George Marathon in 3:40:08. “I thought, ‘Oh, I should be fine looking at last year’s numbers,’ ” she said. But the longer it took for the confirmation e-mail to come through, the more she started to worry. When she learned that the cutoff would be 4:52, it didn’t make things any more clear at first. “I was like, ‘Well that’s exactly what I have. So am I in or am I out? I don’t know,’ ” she said. Once she got the e-mail, the nerves vanished. Erica Hunt’s reasons for running were quite literally life-changing. At 39, she was working in direct sales and typically eating fast food on the go, so she stopped and evaluated her health. She saw an ad for a job at a fitness center and was curious, especially because of its mission to help women change their lives. A year and a half later, she became the owner of Complete Fitness. Then it hit her: As the owner of a fitness center, running made sense. “I thought I should have a rudimentary skill level at that because some of my members were runners and I should have some mild mastery of it,” she said. She started running at age 41 and eventually fell in love. She ran two marathons. The second time, she shaved her time dramatically. “Oh, you’ll never make that,” the member responded. “So the line was drawn,” Hunt said. She looked up the qualifying standard, wrote it on a bright orange piece of paper, and posted it by the phone in the gym so she could see it every day. They ran stride for stride. She clocked in at 3:54. “That’s when I found out that your actual Boston qualifying time doesn’t really mean you get to go to the race,” Hunt said. Her focused shifted immediately and she started targeting ways to get to Boston. She ran eight more marathons over two years. She ran Go! St. Louis again last year and clocked in at 3:55.08, this time getting in because she was in a new age group. “I thought, ‘OK, that’s close enough, I’m in with no problem. I don’t need to worry about this anymore. I can focus all my attention on my ironman training. No problem. I am in,’ ” she said. She realized how close she actually came when she received her confirmation e-mail. But getting to Boston, she said, is easily one of the biggest highlights of her life. Megan Clinton always looked at her running club as a form of positive peer pressure. Mama Docs Run This is a special group — mothers, physicians, and runners — and when she found it on Facebook, she immediately identified as an anesthesiologist and a mother of two who’s run 12 marathons. Running Boston had been a goal for 10 years. She had ties to the city. In 2010-11, she did a fellowship at Boston Children’s Hospital. Her father, Joe Clinton, was from Framingham and she had extended family in the area. “My dad always ran growing up, so I started out as a teenager going for runs with him,” Clinton said. “I ran my first marathon with him in 2000. That was sort of a dream to be able to run that together. So he inspired me. She set her sights on Boston two years ago, working in runs around her schedule at the hospital whether it was at 4 a.m. or after her shift. She ran a 3:40:08 at the 2017 Twin Cities Marathon. Hitting the cutoff felt like a badge of honor. Maryellen Pellegrino lives by the motto that it’s never too late. At 51, she considers herself a late bloomer athletically. Growing up in the 1970s, in the early days of Title IX, there weren’t as many opportunities for women. She had always been a runner, but she didn’t start running marathons until she was in her 40s. Her first marathon was in Milwaukee. She’s run two more since then, one in Chicago and another in Madison, Wis. The experience was enough for her to push to qualify for Boston. She put together a training schedule, and her husband Michael served as her pacer as she ran the 2017 Indianapolis Marathon in 3:55:08. Then she did what she’s done her entire life. The stars aligned. Because her husband paced her, he wasn’t able to qualify, but he was able to secure a spot as a charity runner, raising money for Dana-Farber in the memory of family members who died of cancer. Hugh Hauser knows how to deal with disappointment. Two years ago, he trained vigorously to qualify for Boston and missed the cut by 20 seconds. It didn’t stop him. He had run Boston in 1996 for the 100th anniversary. 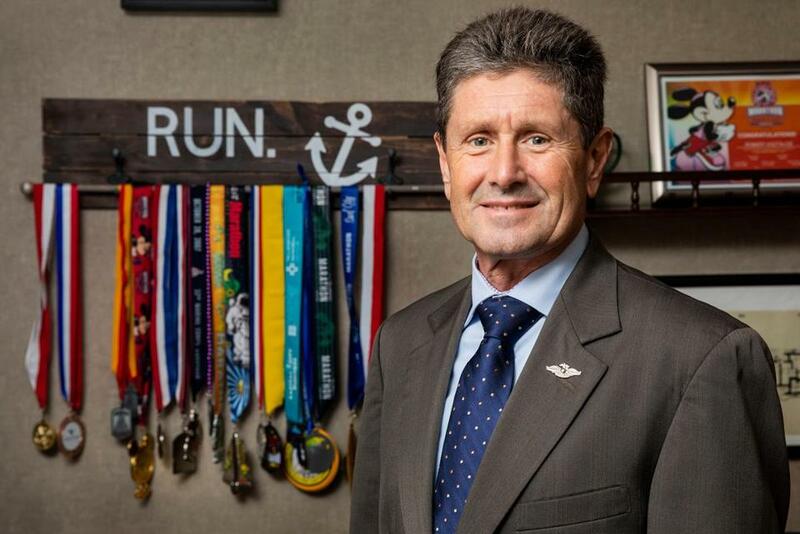 In all, he has run 25 marathons, but he always wanted to come back to Boston. When he ran the Maritime Marathon in Wisconsin last year, he set four minutes as the cushion he needed. He clocked in at 3:35:08 — 4:52 below the qualifying time. He sent in his registration form and waited. And waited. And waited. He was on vacation with his wife in Wisconsin when the qualifiers started rolling in. His son was keeping tabs online when the BAA announced the cutoff times. He was sitting in a park looking at a waterfall when he got the e-mail. Hauser will turn 60 next year, which means he’ll be in a different age group. He’s thinking about hanging up his running shoes after Boston, but he could reconsider.